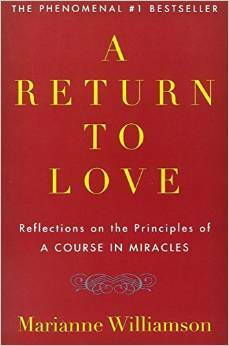 It had been nearly twenty years since I had seen Marianne Williamson in person. 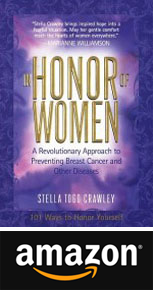 I had wanted to personally and publicly thank her for the generosity of her endorsement for my first book, In Honor of Women, A Revolutionary Approach to Preventing Breast Cancer, (Ballantine Books, NY). For years, I visualized thanking her in person, even though I had written her on several occasions. To my surprise, when I did finally see her again in person, she walked right up to me in front of her audience. I could feel myself tear up. Although I had received endorsements from four other bestselling authors, it was hers that caught the attention of the VPs at Random House. They specifically asked me how I was able to receive hers. I remember how surprised they were when I shared that it had taken me a year to receive it as she was in Cairo, Egypt when I got the fax from her assistant. In our very first meeting Marianne had mentioned that her sister had died from breast cancer, so it was very important to me to honor her and her sister. Therefore I wouldn’t self-publish until I had her heartfelt words, as it was more than just an endorsement to her and to me. Of course, I didn’t go into all of that experience, as my main purpose was simply to share my gratitude. As I thanked her, I reflected that as a result of selling my book rights, it made it possible for me to keep a promise to myself — that if I was picked up by a large publishing house, I would then assist other writers through the process of writing, publishing, and marketing books. I would offer them all of the shortcuts and help them avoid the multitude of mistakes I had made during my five years, three rewrites, and sixty plus letters of rejection. Hence the reason for the insurmountable gratitude I felt in my heart — being so blessed with a career as a book and literary coach. Now, I had heard through a dear friend that someone stands up practically every week to ask Marianne about writing, publishing, or marketing books. As I stood there, I decided to pay it forward and offer complimentary consultations to her audience that night at Saban Theater including those who were watching her live stream. What happened afterwards completely surprised me as so many people surrounded me. I’m so humbled as I’ve had the privilege of speaking with many this week; each with the fingerprint of their soul stamped on their vision, as ready to learn as I am ready to share! Thank you, Marianne, for being such a beacon of light in my life and for your hug that night. Thank you for the opportunity to give back to your community and to help others share their voice, all for the purpose of making our world a better place. Stella was amazing. She gave me professional level advice, without asking for anything in return. Her generosity with her time, ideas, and suggestions blew me away. I am especially grateful for the opportunity for my free session with Stella because I am not a Los Angeles local. I was watching Marianne’s lecture via LiveStream from the Washington, D.C. area. It was quite clear from the beginning of our call that she was completely coming from an energy of service and truly desired to help other writers in the Marianne Williamson community. Stella was supportive of my ideas, gave wonderful advice, tips and tricks regarding the writing and publishing process from both a practical and spiritual point of view. I could tell I was speaking with a real pro. She not only provided me ideas and advice regarding how to enjoy writing my book in order to finish it; she also answered many questions about the process of getting my book published. The spiritual journey of writing a book and how to stay the course. Ideas on expanding the principles in my book into spinoff and supplemental products that will further serve the people I want to reach with my message, while allowing me to make a living for myself while serving others. How to find the nucleus of my core message that I want to share with others so I can do my part to help heal the world through love. What more could any aspiring writer asked for? We covered all these things and more in 30 minutes. Stella is a real gem to our community, and I’m so glad she raised her hand to share her knowledge, insights, and expertise with those of us who have a story to tell.